This meat cleaver put grace and beauty into the most barbarous tasks. 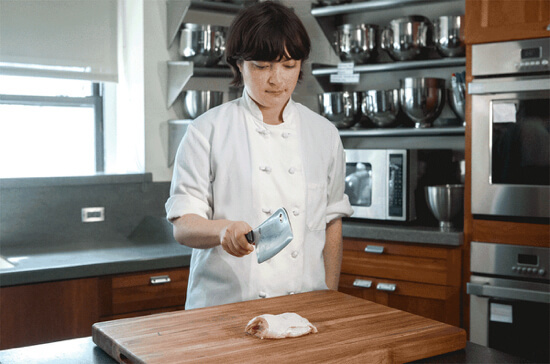 Its perfectly distributed weight and long, tall, gently curved, razor-sharp blade made for truly effortless chopping. And its long, straight pakkawood handle gave us plenty of grip options, although at times its smooth surface got a little slick. Yes, this cleaver is expensive—but you’ll never need another. Strong and durable, it breezed through testing with minimal wear. We purchased 13 cleavers and put them to the test, chopping 4 pounds of chicken wings and 5 pounds of chicken leg quarters, cutting butternut squashes into quarters, and breaking down whole roast ducks, cutting them into serving-size pieces. 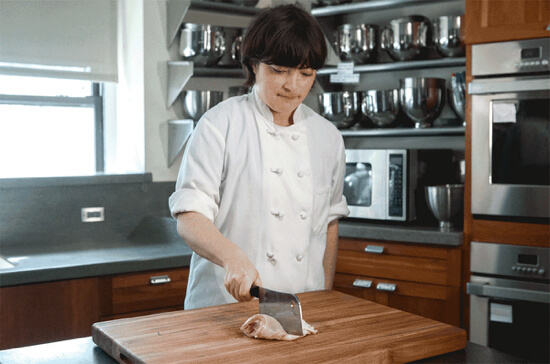 We asked five test cooks with different hand sizes, dominant hands, and levels of butchering experience to chop 1 pound of chicken parts with each knife. 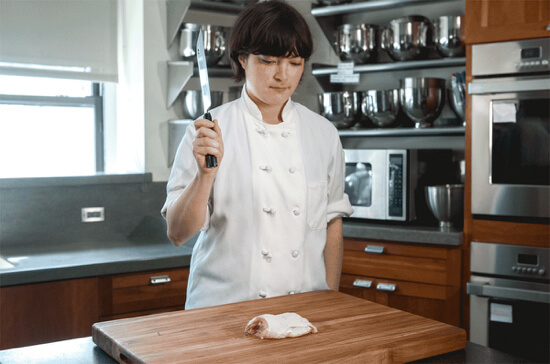 We also asked two professional butchers to evaluate and test each knife.